MTM® Clear Aligners are custom, fabricated aligners that will leave you with a healthy, beauty smile you've always desired without the hassle of traditional braces. Are you looking for a permanent solution to missing teeth? Dental implants are surgically placed into the jawbone and feel like a natural teeth, allowing you to chew and speak just like you did before. If you want fast, effective results, you may want to consider the Zoom!® Whitening System. Zoom! has been clinically proven to work better and last longer than standard bleaching trays. 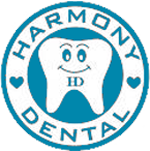 At Harmony Dental, we are here for your whole family. 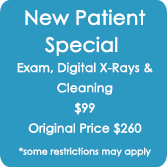 With our convenient location and flexible office hours, our patients' dental health is top priority.